Find out which is the best free educational iPad Apps for kids. Make learning fun and exciting with interactive apps you can download from Apple’s Store. Learning is a continuous process and it should not be confined within the school grounds. There are numerous ways on how you can incorporate fun with learning using the best of what technology can offer. You can browse different child safe website that showcases enjoyable learning activities for different age groups. Now, for older kids (9 and above), this might not do the trick. Hence, you can make use of portable gadgets like iPad and download free educational iPad Apps for kids so you can integrate learning to their after school activity. What to consider before to downloading the educational iPad Apps? It is imperative that you take into consideration the necessary precautionary measures before you give your kids’ access to any electronic device or gadget such as iPad. Needless to say, their safety should be your top priority. Click here to learn how to make your iPad kid friendly! What are the free educational iPad Apps for Kids? Please bear in mind that these free educational iPad Apps for kids, otherwise specified, are more suitable for grade-schoolers. 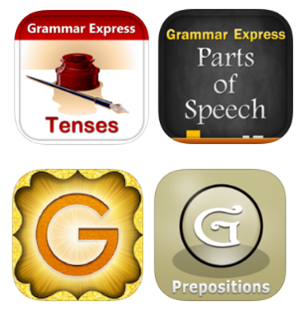 There are a lot of free grammar lesson apps but we prefer those developed by Webrich Software Limited. They have a specific free app for different lessons such as parts of speech (nouns, pronouns, prepositions, adjectives, verbs, etc. ), figures of speech (idioms, metaphor, simile, hyperbole, etc. ), correct grammar usage and so on. Each grammar lesson is sorted by topic that includes varying test modes, progress meter and detailed test result where test questions are reviewed accompanied with an in-depth explanation. It is has a very slick interface which makes it very easy to use, cool sounds, lets you choose your own timer setting and offers a paid version should you require more test questions for extensive practice. This amazing free educational iPad app was developed by Vosonos LLC. It covers topics about how the solar system was formed, the sun, different planets and their moons, the milky way galaxy, comets, meteors and a lot more. Basically, it allows kids to explore just about everything regarding the solar system. It has an outstanding graphics combined with superb interactive activities and amazing videos that will definitely make your kids (even the child in you) excited and eager to learn more about the world beyond. A 2013 Apple design award winner educational iPad app, WWF, aims to raise awareness about endangered animals among the younger generation. It lets your child experience a virtual face to face encounter with tigers, elephants, sharks, rhinos, whales and other fascinating species though their interactive interface. Towards the end of every animal story, you will see an origami (folds up) of that particular animal that you can share to your friends and family via Facebook, email or Twitter. The origami instruction is also downloadable which you and your kid can do as a special activity. WWF is equipped with high-definition videos, images and playful interactive activities that showcase the unique features of iPad which makes it truly remarkable. This educational iPad app courtesy of Mobileroo PTY Ltd, teaches basic math skills namely addition, subtraction, multiplication and division recommended for pre-schoolers in preparation for their grade school Math lessons. It’s simple and clear approach to the world of numbers enables young minds to learn with ease and at their own pace. Having an awesome and colorful design, catchy music and delightful animation sets the perfect mood for this marvelous app which can eliminate your pre-schooler’s fear with Mathematics. Developed by eduPad Inc., this educational iPad app is a combination of three subjects which include Math, Language and Science intended for grade school level (grades 3,4 and 5). There are several activities categorized per subject matter and sorted by grade level. It currently has the largest collection of educational activities. Each set of question for every subject contains a detailed explanation and pictures as well as lesson summary after each finished chapter. Among the features included in this highly recommended educational iPad app is an embedded calculator for complex computations and a virtual blackboard that kids can use to draw figures or manual calculations.